7 Learn to Read Halloween Stories to help beginner readers to learn to read by using simple and repeated text and pictures to support their reading. 6 other Halloween books include the Halloween ABC’s, Jokes, What Am I Riddles, Tongue Twisters and two stories that parents can read to their children: The Scared Monster and Wendy The Witch. These books are a little harder and are perfect for parents to read to their child. BONUS: I have also included 12 Rhyming Stories to read to your child. These look at common childhood fears and how they can be overcome. The Rabbit Readers Series of books helps your child to learn to read quickly and easily. Lots of repeated words, predictable sentences and phrases, pictures to support their comprehension and sight words. Written by a teacher who has taught hundreds of children to successfully read over the last 30 years. 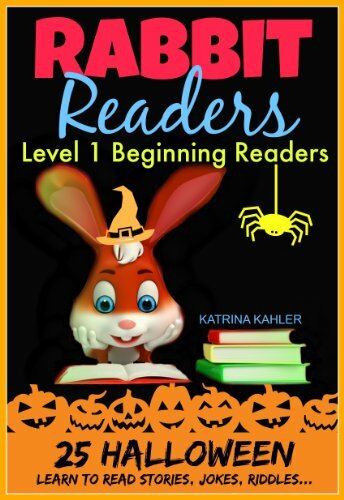 Check out other Learn to Read ebooks and Early Readers by Katrina Kahler.